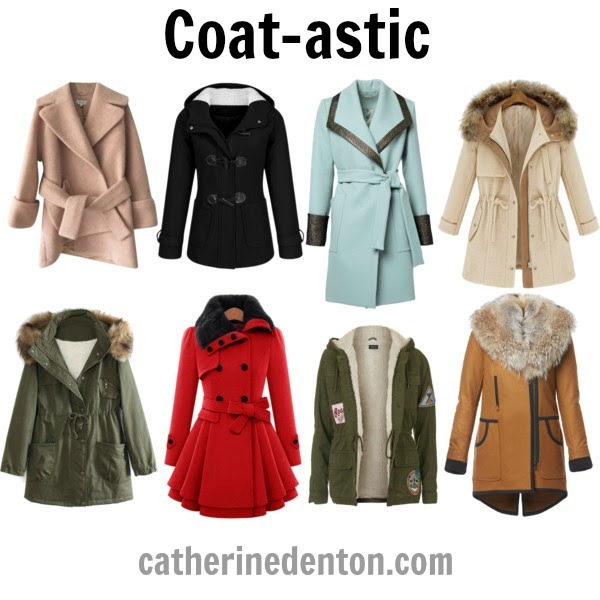 In the midst of winter storms on the East coast, I thought it'd be fun to browse a coat-astic set of winter coats. I have a pea coat that I've had for a looooong time, and seeing all the coats on snow-filled periscopes has given me coat-buying fever. I think my favorites in this set are the two on the far right top and bottom. Although how I would keep a beige coat clean with all my coffee spills, I don't know. I LOVE the red one but it's just not my style. It's the kind of coat I'd rave about on someone else but never wear myself. I love that it's your favorite, Faith! I can live vicariously through you! !